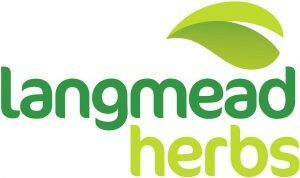 The Langmead Group supplies leading UK and Spanish retailers with a wide range of cut, bunched and potted fresh herbs. Entering the herb market in 2012 we built on our long history and expertise in innovation, growing, packing and supply of fresh produce to reinvigorate the herb category. From supplying under a million packs of cut herbs in its first year we now supply more than 40 million packs to retailers across the UK and Spain. To supply the best herbs to our customers we build long term sustainable relationships with all our suppliers both in the UK, mainland Europe, Asia and Africa creating a world class supply chain that ensures consistency of quality and availability throughout the year. We also grow many of our herbs seasonally on our own farms in the UK, with our professional farming team leveraging the natural benefits of our coastal farms and high light levels to deliver high quality crops. Our potted herbs are grown in a state of the art 2.7 hectare dedicated facility in West Sussex. Completed in 2015, it is the UK’s first automated glasshouse growing facility and is matched by our glasshouse facility in Spain, which further builds our capability for year round potted and cut herbs.